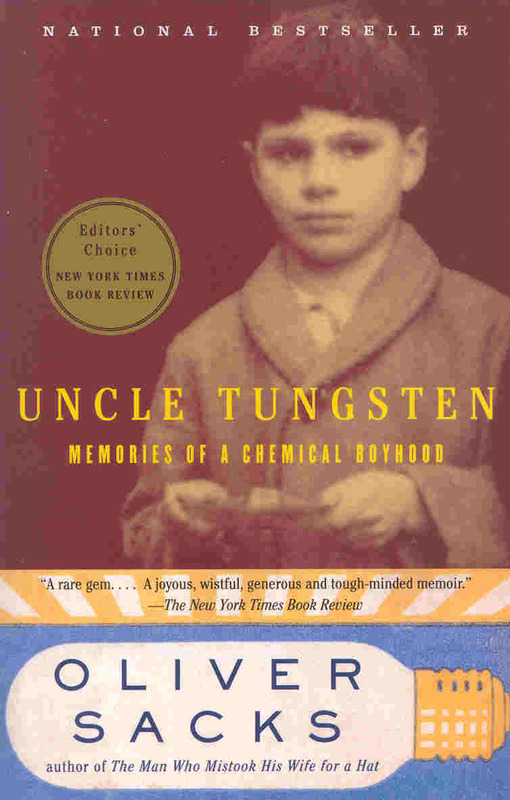 Uncle Tungsten: Memories of a Chemical Boyhood was one of this books I just picked up on a whim, having never really heard of the book or the author. I’ve since found out that Oliver Sacks is a famous neurologist and kind-of-a-big-deal. This book is absolutely fascinating. It’s about Oliver Sacks’ fascination with chemistry when he was a boy, but it also incorporates an extensive history of chemistry (as seen through the eyes of a young Sacks.) It is also part memoir, more interesting than most because of Sacks’ family – 18 scientist aunts and uncles, each specialising in their own fields, not to mention his parents, who encouraged him to have his own lab and experiment with deadly substances freely, and his siblings, who joined him in many of his scientific endeavours. And all this is set during World War II England, in an affluent Jewish neighbourhood. Sacks’ passion for chemistry really shines through, and the process of discovering each new fact and deducing new ideas was beautifully demonstrated. His characterisations of his family really brought them to life – each of them seemed to have encyclopaedic knowledge of the field they worked in, but also ardently followed the latest scientific progress, as well as the history of it. I have never been jealous of someone else’s family before, but there’s a first time for everything! The history sections can get a bit boring, but I’m not sure how much of that was because I already knew a lot of it. I also wished the book’s memoir portion was more chronological – Sacks jumps back and forth a lot. Some things were left unresolved – for example, Sacks describes his brother being mentally disturbed by their stay at a country school during the war, but never follows up on how that ends up turning out. Despite those flaws, I think the book was well worth it! This is book 22 of 25 of my Dec 11, 2011 book challenge. This entry was posted in Books, Reviews and tagged 2011-12-11-challenge, chemistry, memoir, non-fiction, science by Kriti Godey. Bookmark the permalink.